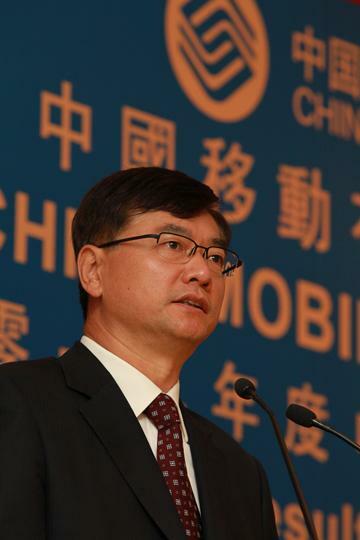 Yue Li, president of the world's largest wireless carrier China Mobile, confirmed on Wednesday that the telecom has been in talks with Apple since 2009 to bring the iPhone to its network since, however the two are far from striking a deal. In a statement during China Mobile's Worldwide Developers Conference, Li said business-related issues more than technological setbacks are keeping Apple's iPhone off the mobile giant's network, reports SinaTech (via Unwired View). "We look forward to working hand in hand with Apple," Li said, adding that China Mobile has been in discussions with the iPhone maker since 2009, and was close to reaching a contract last year. That agreement obviously fell through. Although China Mobile is not an official Apple partner carrier, it was reported in March that some 15 million of the provider's over 700 million subscribers are iPhone users. The draw of Apple's handset is apparently strong enough to overcome the fact that it can't reach 3G data speeds as it is incompatible with the China Mobile's TD-SCDMA network. Before Apple launched the iPhone 5 in September, rumors claimed the handset would support the obscure network ahead of China's expected 4G LTE integration, however the smartphone offers no such functionality. If and when a next-generation iPhone is offered through China Mobile, analysts predict the deal to double Apple's presence in the Chinese smartphone market, which could in turn boost AAPL stock some $45. Apple on Friday announced that Chinese sales of its newest iPhone 5 would kick off on Dec. 14, while China Unicom announced on Tuesday that pre-orders for the device reached over 100,000 in its first day of availability.